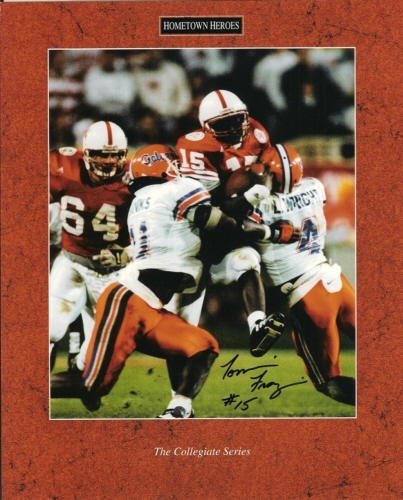 8x10 officially licensed commemorative photo of Tommie Frazier in action during the 1996 Fiesta Bowl autographed in thin black marker. The Nebraska Cornhuskers went on to defend their National Championship by whipping Florida in this game. From a paid signing with Real Deal Memorabilia, with their certificate of authenticity. ONLY 3 LEFT.